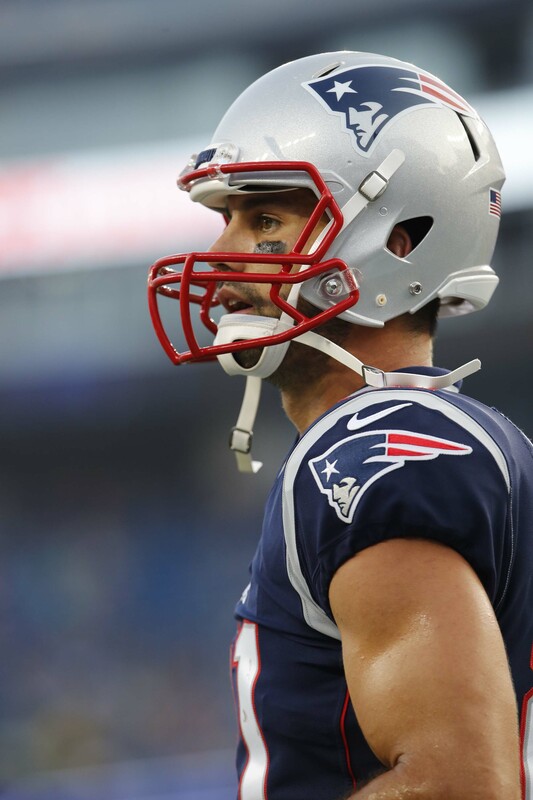 Patriots wide receiver Eric Decker today announced his intention to retire from the NFL, according to a post from his Instagram account. Decker, 31, inked a one-year, $1.5MM deal with New England earlier this month, but he’d been facing an uphill battle to earn a spot on the Patriots’ 53-man roster. New England, which released fellow pass-catcher Kenny Britt earlier this week, is now down to Chris Hogan, Phillip Dorsett, Cordarrelle Patterson, among others, as it waits for Julian Edelman to return from a four-game suspension. A third-round pick in 2010, Decker became a starting receiver for the Broncos in 2011, but his career took off the following season when Denver added Peyton Manning under center. Decker averaged 86 receptions, 1,176 yards, and 12 touchdowns per year with Manning, and subsequently inked a five-year, $36.25MM pact with the Jets. Decker was excellent through two seasons in New York, but injuries limited him to three games in 2016 and led to his release. A one-year accord with the Titans followed, and Decker posted 54 catches, 563 yards, and one score in what will become his final NFL action. Interestingly, Decker’s name had recently appeared in trade talks, tweets Tom Pelissero of NFL.com. Decker had reportedly been struggling with the Patriots, so it’s unclear what kind of market may have existed for the veteran receiver. The Vikings now have three of their four major offseason extension candidates signed long-term, with Anthony Barr being the only member of the contract-year quartet (Barr/Stefon Diggs/Eric Kendricks/Danielle Hunter) still attached to a rookie contract. Diggs was the latest to sign, and some details of that five-year, $72MM extension have emerged. Of the $40MM in guarantees, Ben Goessling of the Minneapolis Star Tribune reports (on Twitter) that only Diggs’ $15MM signing bonus and $1.9MM 2018 base salary are fully guaranteed at signing. The remainder of the wide receiver’s guaranteed money will depend on his roster status. If Diggs is on the Vikings’ roster by the third day of the 2019 league year, all of his $8.9MM 2019 base becomes guaranteed. The same structure exists for the 2020 and ’21 league years, with Goessling reporting Diggs’ 2020 base of $10.9MM becomes fully guaranteed on Day 3 of that league year and $3.3MM of his $10.9MM 2021 salary will be guaranteed if he’s with the Vikes on Day 3 of that league year. Here’s the latest from some teams’ pass-catching situations, shifting to more contract talk. Eric Decker‘s one-year Patriots agreement comes in at just shy of $2MM. The former Broncos, Jets and Titans wideout signed for $1.9MM, Ian Rapoport of NFL.com reports (on Twitter). He has a chance to earn up to $2.5MM, per Rapoport, via incentives tied to his reception count. Decker suited up in Patriots gear for the first time Saturday. Now 31, Decker is entering his ninth season. While Emmanuel Sanders has yet to relinquish his status as the Broncos’ No. 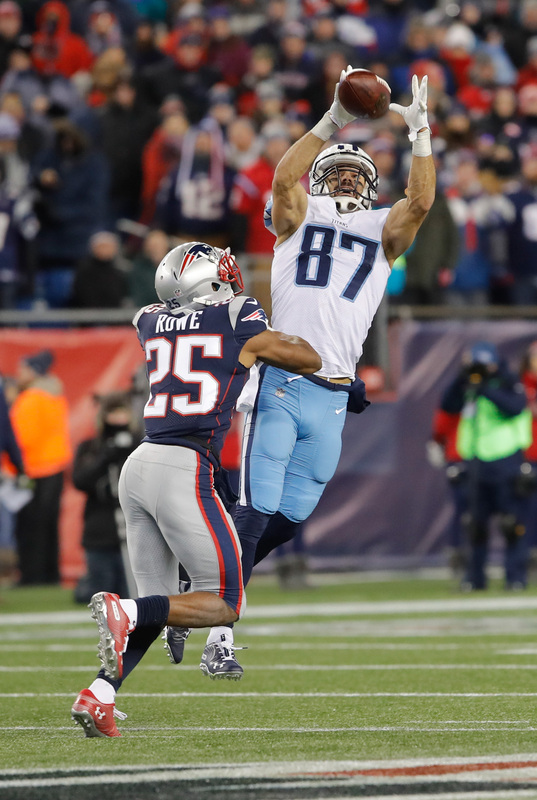 2 wide receiver — a role he inherited from Decker in 2014 — the team looks to have found a No. 3 target at long last. Having failed to find a capable cog for that job since Wes Welker‘s exit, the Broncos appear to be zeroing in on Courtland Sutton as their No. 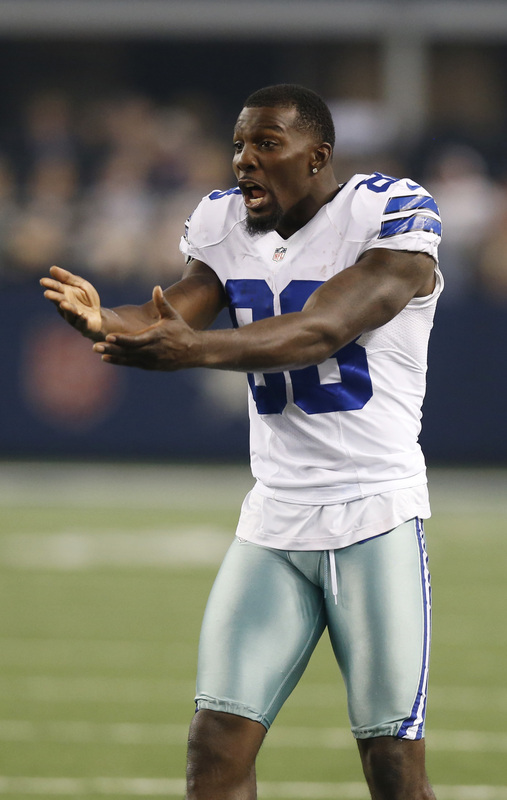 3 receiver, Lindsay Jones of USA Today writes. The SMU product’s drawn rave reviews throughout Broncos camp, and Jones notes the second-rounder’s all but locked up the WR3 job going into preseason play. Fourth-round pick DaeSean Hamilton, viewed as a superior route-runner than the 6-foot-3 Sutton, is expected to play a role as well. But Sutton will likely start out as Denver’s third option. The rookies’ work will be interesting, given the non-guaranteed contract-year salaries for the Broncos’ longtime starting wideouts in 2019. Josh Doctson has suffered another injury, a shoulder setback, but contrary to a previous assessment, the Redskins target won’t be out too long. NBC Sports Washington’s Brian Mitchell, a longtime Redskins return man, said Doctson also needed to have his heel drained earlier this week. Jay Gruden, though, refuted that. “I don’t think I’ve ever heard of a heel being drained,” Gruden said, via Mike Florio of Pro Football Talk. “So I don’t know where that came from. That is not true, but he’s going to do a little something out here today. We’ll see. I’d be surprised if he went full-go, but he did not have his heel drained.” Doctson has struggled to stay healthy during his NFL career. The 2016 first-rounder missed all of his rookie year because of Achilles trouble and encountered hamstring issues last year. The Patriots will sign wide receiver Eric Decker, Adam Schefter of ESPN.com tweets. It’s a one-year deal for the Pats and the former 1,000-yard receiver. The Pats are moving on from Jordan Matthews, and that leaves them with a potential need at wide receiver. The Patriots have an interesting group at the position with Julian Edelman, Chris Hogan, Kenny Britt, Phillip Dorsett, Cordarrelle Patterson, and Braxton Berrios under contract, but they’re looking to shore up their depth as Edelman will miss the first four games of the season. Decker lobbied for an opportunity with the Patriots this summer and finally got his wish. He had just 54 catches for just 563 yards and one touchdown with the Titans last year and missed most of 2016 with an injury, so he’s eager to get back on the right track. In 2015, Decker’s last complete season, he hauled in 80 catches for 1,027 yards and 12 touchdowns for the Jets. He also had 1,000+ yard seasons in 2012 and 2013 with the Broncos and nearly hit that mark in his first Jets season in 2014. There’s reason to believe that Decker can be a contributor for the Patriots, even if he’s not quite in his prime form. Wide receiver Eric Decker worked out for the Patriots on Monday, a source tells Field Yates of ESPN.com (on Twitter). The Pats are dealing with some injury issues at wide receiver, so Decker could be a candidate to show his stuff in camp and potentially make the final roster. The Patriots are already down one receiver for the first month of the season thanks to Julian Edelman‘s four-game suspension. Beyond that, Jordan Matthews, Malcolm Mitchell, and Kenny Britt are all dealing with ailments of their own. Mitchell seems unlikely to make the Pats’ final cut (and he could even be traded in the next few weeks), but the Patriots can ill afford to be short-handed at wide receiver if Matthews and Britt do not recover fully between now and September. Enter Decker, who has openly lobbied for an opportunity with the Patriots this summer. Outside of spring meetings with the Ravens and Raiders, Decker’s market has been eerily quiet this offseason. Decker was a late surprise cut by the Jets last year, leading him to sign a one-year deal with the Titans. He fell a little flat in Tennessee, recording 54 catches for just 563 yards and one touchdown. Decker also missed most of 2016 due to injury, so the 31-year-old is now two years removed from being a high-end wide receiver. In 2015, Decker’s last complete season, he hauled in 80 catches for 1,027 yards and 12 touchdowns for the Jets. He also had 1,000+ yard seasons in 2012 and 2013 with the Broncos and nearly hit that mark in his first Jets season in 2014. If Decker can show at least some of his old form, he could be an interesting addition to the Patriots’ mix.